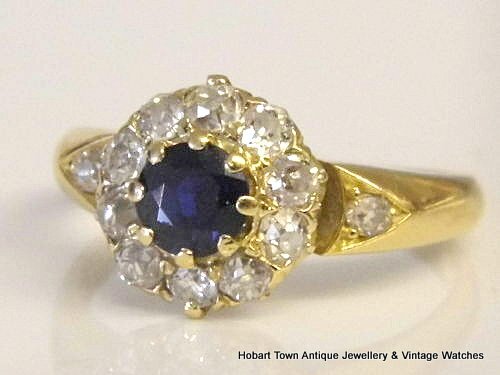 A fine Victorian Sapphire Diamond 1880’s 18ct Gold Ring in good condition. 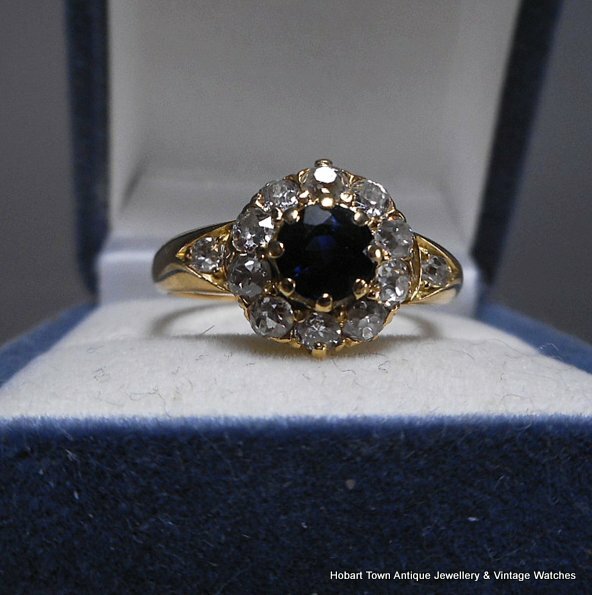 Genuine antique sapphire diamond halo engagement ring. 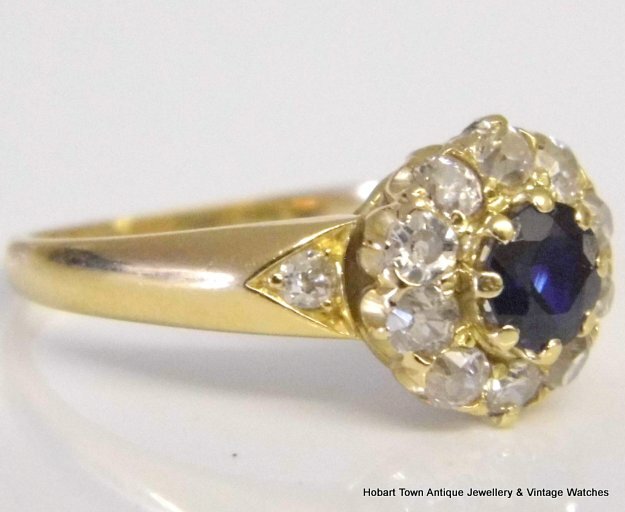 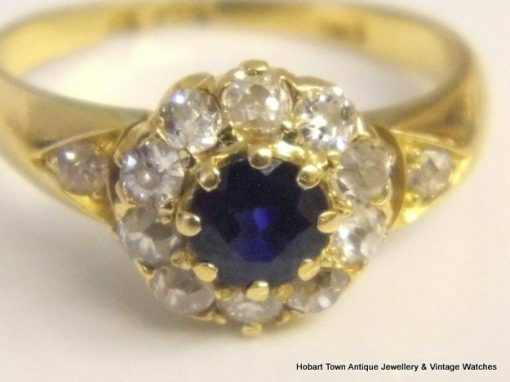 A quality Victorian Sapphire Diamond 1880’s 18ct Gold Ring in good condition. Centered by a royal blue natural sapphire of an est; .54ct size. Surrounded with a halo of ten old cut diamonds which are eye clean and bright with typical high cut tables. 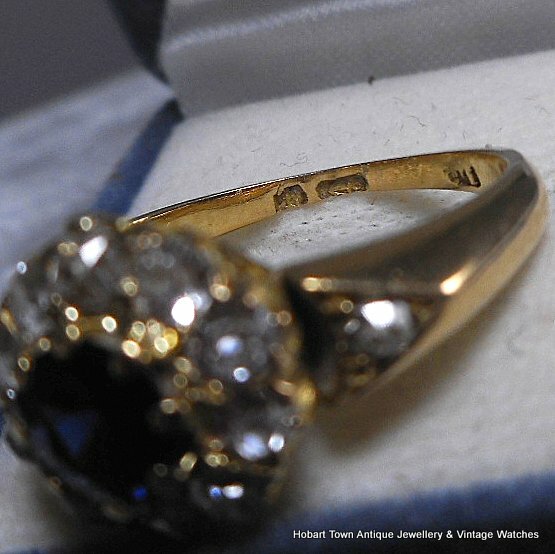 Although the hallmarks are rubbed , the mark for Birmingham and date mark for 1889 are retained. 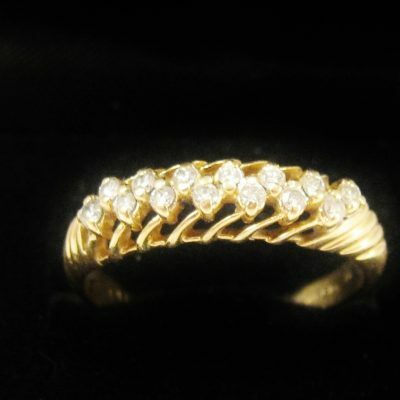 The ring tested strongly for 18ct gold. 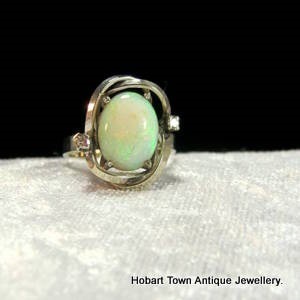 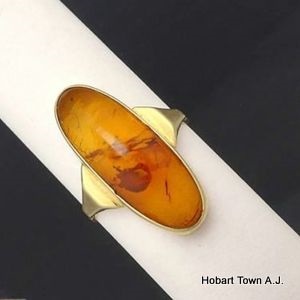 Currently a size “M” ~ the ring is resizable and has a good weight of approx; 3.7 grams. 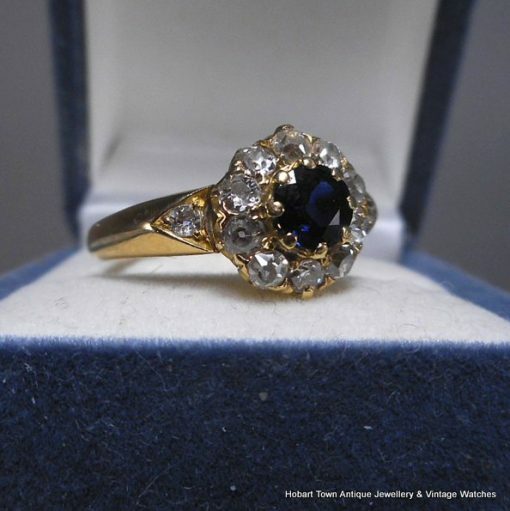 A further diamond is set into each shoulder to accentuate the overall design and appeal of this attractive Victorian Sapphire Diamond 1880’s 18ct Gold Ring. 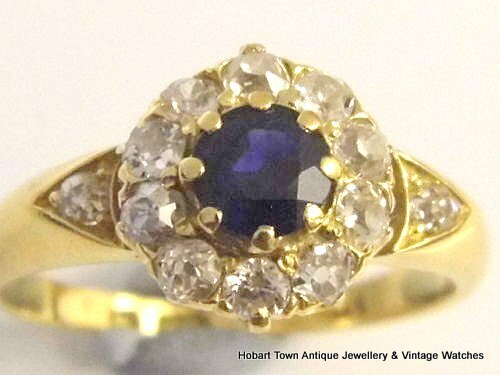 Genuine 19thC sapphire and diamond rings of this standard can be found at prices anywhere from au$2,250 to $3,500 ….. depending on the shop. 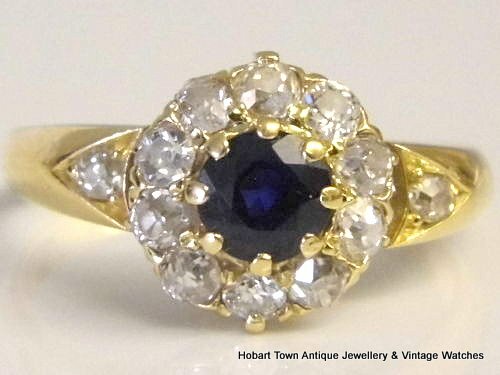 Which makes our selling price especially good value and we encourage you to compare ……. yet please “compare apples to apples”. 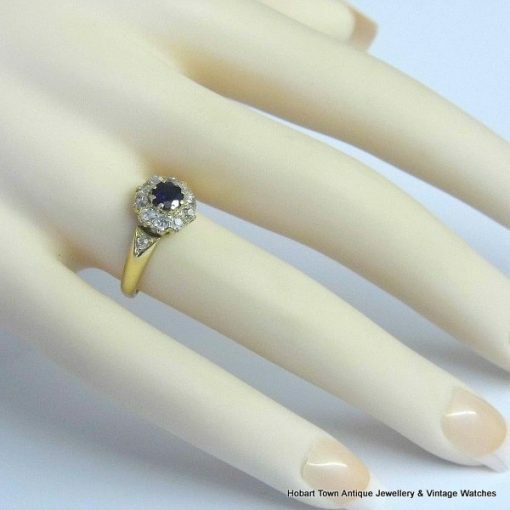 Having a relatively low profile , the ring can be worn as an engagement ring or daily wearer without concern. 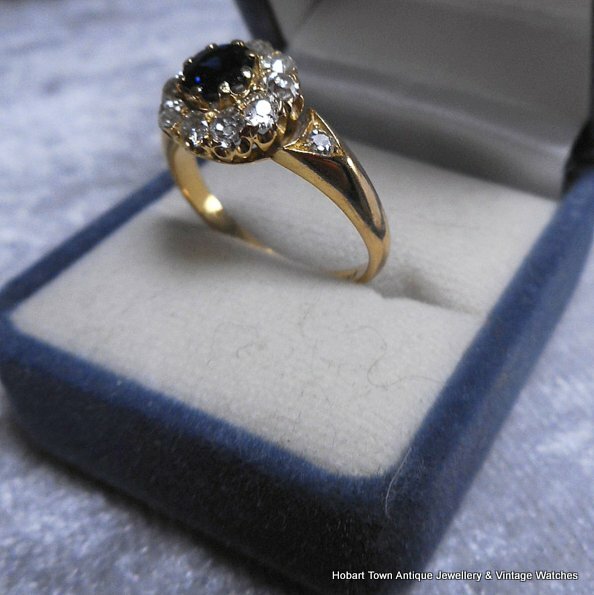 We will add another couple of images in due course ~ yet if you have any questions prior , please email for a prompt response. 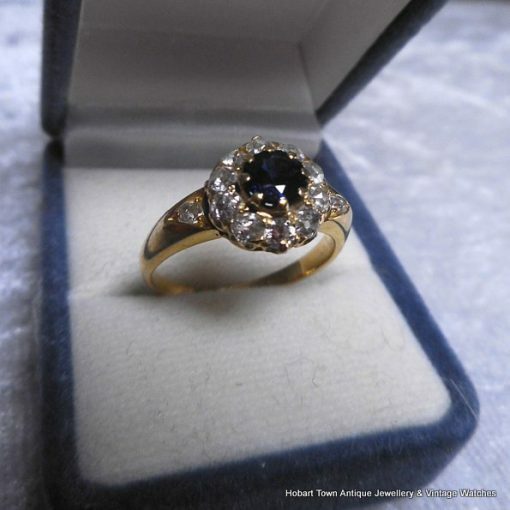 Inexpensive and fast nationwide and international delivery combined with our money back guaranteed descriptions.